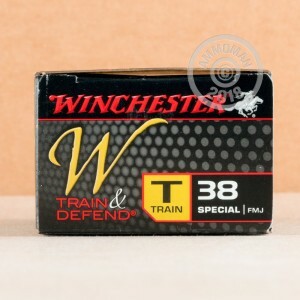 This Winchester Train & Defend ammunition is an economical FMJ "Train" load designed to replicate the ballistic performance of its companion JHP "Defend" ammunition. These standard pressure .38 Special cartridges come in boxes of 50 and fire a light 130 grain full metal jacket bullet at 900 feet per second. Like their hollow point counterparts, these rounds are designed to produce low recoil without sacrificing power. Winchester ammo is manufactured in Oxford, MS using non-corrosive Boxer primers and brass cases. 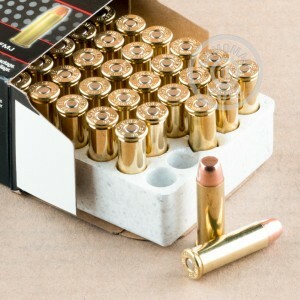 Shop at AmmoMan.com to get all the range and self-defense ammo you need! All orders over $99 ship for free, so load up to save big.